I’ve got your money. I want to give it back to you. Really, I do. Although your money is beautiful, with pictures of queens, reindeer, and large birds, and has charming names like Loonies and Toonies, unfortuantely, it’s almost worthless here. Our vending machines don’t want it. Coin Star doesn’t want it. No one likes to get it in change, and who pays with change anyway? The bank won’t take it. And I bet you folks would like to have it back. I would come over myself and give it back to you but I can’t because: a) even though you’re very nice about letting me come in to your country, my own country insists on strip-searching me when I return, and b) I’m afraid I’ll end up accidentally bringing back more of your money with me, thus starting the whole process over. So you can see why I can’t come. But, you could come here and get it. Americans love Canadians. After all, you gave us hockey, Michael J. Fox and Canadian bacon. As a people, you’re wonderfully polite and kind, and have quaint expressions like “queuing up” which we find charming. Your national anthem, O Canada (which, thanks to televised hockey, I almost know by heart) is melodic and rousing. In fact, this past Canada Day, July 1 BTW, my hockey-loving son and I faced Canada and saluted you with our own robust rendition. But, I digress. If it’s okay with you, I’ll leave the money in a big paper bag just across the Blue Water Bridge. Come and get it whenever you’re ready. If your economy is anything like ours right now, chances are you’ll need it. Thanks Canadian friends. PS: Since you’re coming anyway, maybe you can bring us some of your national health care. We can’t seem to get it right here, and you’ve been doing it for years, so you’ve probably got it down now. This entry was posted in Satire Friday and tagged Blue Water Bridge, Canada Day, Canadian coins, Health care, hockey, postaweek2011 by Huffygirl. Bookmark the permalink. Loved the pictures. Didn’t realize how beautiful their coins were. Of course, even our penny is pretty when it is shiny and new, I suppose. And isn’t the truth about re-entering our country! Thanks, though I can’t take credit for the pictures. 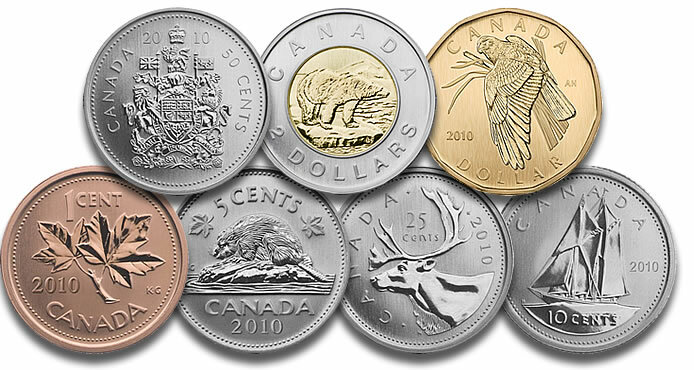 Their money really is beautiful – some of the coins have different colored centers. The paper money, which we don’t see much over here, is all different colors – orange, green purple pink. I once had a Candian say to me that they can’t figure out our paper bills because they’re all the same color. As for the money, I will take it!! I probably have some to give you of yours too 🙂 Your money doesn’t work in our vending machines either…what the heck is that all about? Sorry about misidentifying your moose – we don’t see them much around here, but we do see reindeer when we go to the Christmas tree farm. And we see regular deer too, which we hit with our cars. Maybe the money not working in each other’s machines is a conspiracy to keep Americans and Canadians from intermingling…who knows what might happen then. Thanks for stopping by. Honestly, I don’t agree with Redneckprincess. The situation she describes is horrific, I agree, and the politicians are not handling it well, I agree. But the health care system itself is wonderful. You weren’t around in Canada before we had it. I was. People were afraid to get sick. If they did get sick, they wouldn’t go to the doctor because THEY COULDN’T AFFORD IT. True that the hospitals weren’t filled to overflowing then. That’s because people couldn’t afford to go to the hospital. So they died at home. I suppose that’s marginally better than dying at Tim Horton’s, but then, at least at Tim Horton’s, there was a chance that some medically trained personnel would be along to help…maybe. There was no chance at home unless the poor harried doctor could make a quick house call in his many busy rounds to homes and to the hospital. Nowadays, I have a ton of things medically wrong with me…diabetes being one of the lesser things. I am not afraid to go to the doctor. I go, because of our national healthcare system. If he sends me to the hospital, which happened frequently last year, I am not afraid to go, because of our national healthcare system. If I am in dire need of a specialist, my doctor sends me to one. I am not afraid to go, even although the cost of a specialist is astronomical, because of our national healthcare system. And when I have to go to the drugstore to get the shitload of pills that I need to keep me alive, I am not afraid to go, nor do I decide I can live, maybe, without them. Because of our national healthcare system. Yes, in the larger centres the shortage of doctors is appalling. It’s nothing to go to a medical walk-in clinic and wait four hours to see a doctor. And yes, the government had better start sweetening the pot for our doctors, who are currently overworked and mostly underpaid, or they will start going south. Our brain drain has extended to our medical personnel who are much appreciated by our American counterparts. But that is not necessarily the healthcare system itself…that’s the politicians sitting on their thumbs. I believe our national healthcare system is great. I lived in Pennsylvania for a while and was terrified when I got really sick. I simply did not have enough money to go to the doctor, and I had no medical insurance. I didn’t. I remained sick for about two months. The first month I was wishing I would die. I got over it, but I was lucky. If they had had to rush me to the hospital, I would have had no way of paying. Then what? I think the people most qualified to comment on the Canadian Health Care system are those who are using it now, so I’ll leave it to you, Redneck Princess and any others who wish to hash it out. About 20-some years ago, I think right after your national health care was born, we were camping in Canada and the kids got sick, probably with strep throat. We took them to the nearest doctor …well I guess it would be better to just turn this into another post, since it’s an interesting story. In my job, I work in a free clinic for folks who don’t have insurance. About 40% of the patients are diabetic – we do a lot of wrangling to get their meds, test strips, etc. In the richest country in the world. So by comparrison, sounds like you’re better off with your health care than many folks here. It’s crazy here sometimes. We could probably turn it into a sport if we wanted to. This time of year I worry about running into one on my bike too – I think the deer would win that one. Thanks Sandra. I agonized over this post because I didn’t want to offend any Canadians, but I figured that you all have a wonderful sense of humor and appreciate satire. And after all, it is April 1st. I’m pretty sure we don’t strip search Canadians coming in, just Americans coming back. If you change your mind, let me know and I’ll drop off the money. I found that not only hilarious (maybe you had to see it), but a little telling in a way that mere newspaper headlines couldn’t. 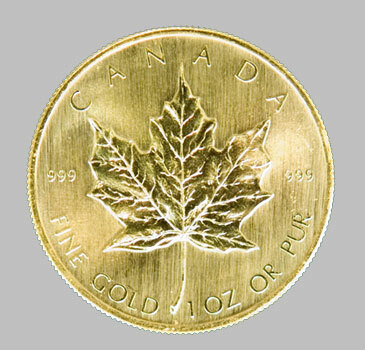 I think at the time the Canadian dollar was worth 40 cents compared to the U.S. dollar. Your little post was really cute. Not only that, it was true. I lived in Pennsylvania for about a year and a half and had a terrible time trying to use Canadian money in the pop machines or to exchange my Canadian money, even the bills. The little town bank wouldn’t even look at them. I had to get someone from D.C. to take my money and exchange it at one of the big banks there. Thanks for the reassurance. I definitely did not want the whole country of Canada mad at me. What prompted my post was I was finding and sorting through all sorts of coins at my parents house – my dad had jars of coins that he’d save, hoping to find one that was rare or valuable. I kept coming across Canadian change (we tend to see it often in Michigan anyway) and voila’ a post was born. Yes, they’re pretty sneaky. Or maybe Texas is how far away we Michiganders have to go to get rid of it. Since we have numerous crossings into Canada here, we’re pretty used to seeing their money. Yeah, he almost got me on that one. Guess the loose change will make up for the war? Love this…made me smile. You are a lovely story teller Donna. Thanks Ann, I hope she enjoys it. I really enjoyed reading this. Thanks for being so willing to give away your Canadian coinage. I live in the US, but everytime I go home to Canada, I inevitably come back with a lot of Loonies and Toonies…and like you, I have nowhere to use it. Don’t forget they gave us Justin Bieber too… haha! Oh, I had no idea on that one. I haven’t been keeping up on The Biebster. Give it to me. We’re going to Canada this summer, so I can “take it back” (translate “spend”) it for you. Thanks. Are you an American transplanted to Canada? I was wondering how true the Tim Horton’s thing was. Maybe you had to be there. I think one reason the US is against national heathcare is that the people with good healthcare know that they might have to endure average to mediocre health care once it’s dispensed to everyone. Can you imagine the Tim Horton’s effect here? You are a great storyteller. As an American living in Canada who travels between countries almost every month, I have the issue both ways and my change purse is full. Then I am digging around when trying to use some of it in order to pick the lucky coin of the right country! Use the pennies, nickels, and dimes for throwing in a fountain and make a wish. Don’t throw the loonies and toonies in. Maybe you could stand by the border and trade off with a Canadian hitting the bridge who has some leftover US coins. A new way to make friends? Great suggestions Techy. Maybe someday we’ll meet at the border and can swap our coins! Great post. You certainly have a flare for all things Canadian. Thanks Michelle. I’m a big fan of my delightful neighbors to the east (and north). I think we ought to make HG an honorary Canadian. Whaddya think, fellow Canucks? Hurray, I would love that. O, Canada! Um, I have to be extra careful when I spend U.S. dollars…they’re all the same colour! Unlike Canadian paper money. And all bitcinin’ and moaning about Canadian health care system: As a Canadian cyclist I’m horrified that not all American cyclists have health insurance. My father has cancer….and he is looked after by the best cancer teaching/research hospital in Ontario..because he happens to live in its city. He’s low income but doesn’t pay much. Some Canadians are awfully naïve about how much Americans must pay for monthly premiums to the private health insurers.. Super naïve. I’ve had other Canadians say the same thing to me about our money – that it is all the same color and they can’t tell it apart. I think that is true, but we are all used to it being that way. Plus, we think your money looks like “play” money because it IS so colorful – to us it looks fake. I do think it’s neat living so close to another country that is very like ours, but also very different. It is great to be exposed to those cultural differences and realize that not everyone thinks like us. Americans who live in the middle of the country and don’t purposely travel to Canada miss out on that, but here in Michigan, it’s pretty easy to get to Canada for a visit. As far as the insurance goes – I’ve hear some Candians say the insurance is great, others say they have to wait too long for things they need done, aka rationing. Over here, many people have great insurance and many have none at all. I’d like to see that evened out. I work in a free clinic for folks without insurance, and although we try to offer the very best care we can, there are some things that we just can’t get fixed for our patients because they cost too much. Thanks for stopping by and sharing your views. Since you mentioned being a cyclist, I’ll have to stop by and check out your blog as well. Over here, I’m still waiting for weather warm enough to get my bike out.